UDM Downloads > PDF-File PDF Converter to Convert PDFs! PDF-File PDF converter is a PDF software to convert PDF files to Word documents. The PDF converter is a PDF creator and convertor. You can convert PDF files to .rtf (rich text format) or .doc format, and make PDF files with this PDF conversion tool. It can also convert PDF files in multiple languages. The PDF converter can convert heavy PDF files, and it can extract images from PDFs also. Free trial download is available to evaluate the software. If you like the functionality of the software, you can buy the PDF converter directly from: http://www.pdf-file.com/order_form.asp. 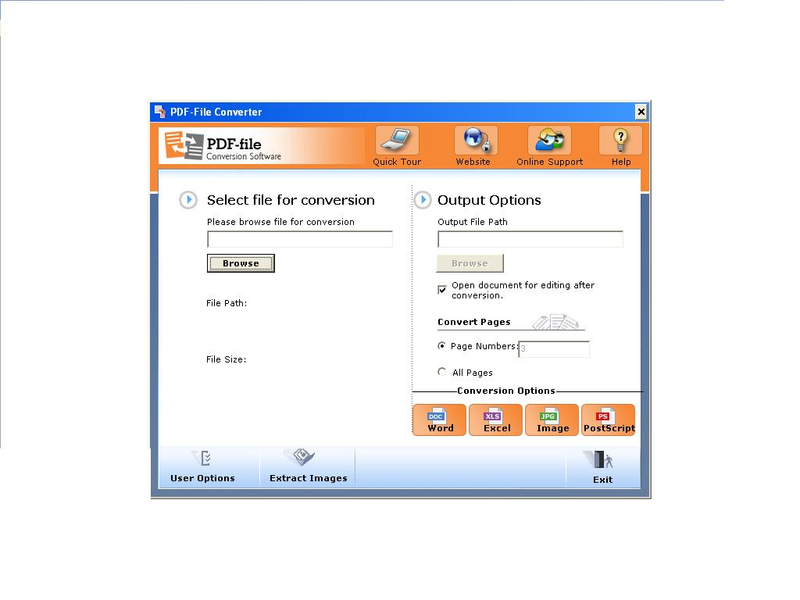 Main features of the PDF Converter -- User friendly interface leads you step-by-step through the PDF conversion process. - Convert multiple PDF files to .doc or .rtf format through batch PDF conversion. - Convert text documents to PDF files. - Preserve original layout of the PDF file. Retain formatting for columns and tables etc. - PDF-file Converto can replicate text in 5400 fonts and support True Type font handling. - You can partially convert a PDF file by specifying a page range to be converted from within the PDF file. - You can extract images from PDF files. You can also convert extracted images to some of the popular graphic formats. - Converts PDFs in nine languages--English, German, Italian, Dutch, French, Spanish, Norwegian, Russian and Portuguese. - Comprehensive help file included. - US daytime telephone support and e-mail support is provided.